Launched this year, MARGO is fast becoming a brand to keep on your radar. We love a bit of girl power to wake us up on a Tuesday morning. Meet MARGO, the London based womenswear label representing the very finest. Still fresh and young in the industry, the brand only launched this year at LFW, yet the two women at its helm are already making an impact. With experienced backgrounds, being trained at RCA and doing sales for Christopher Kane between them, MARGO is manned by skilled women who know their fashion. Currently in it’s second season, MARGO’s headed over to Paris to showcase with Studio Nicholson. The brand likes to experiment with oversized silhouettes and vivid colour palettes, to create conceptual fashion looks. For their sophomore collection, MARGO has crafted easy, fluid pieces that add a fresh interpretation to classic womenswear. Describing their style, MARGO says that they create clothing for “women who want to express themselves without feeling exposed.” They aim to make women’s clothing that is the perfect balance between “sweet and scorching”, standing on the cusp of complete androgyny and femininity, with the help of oversized pieces that are easy yet not too womanly. Keep your eyes on this talented pair. 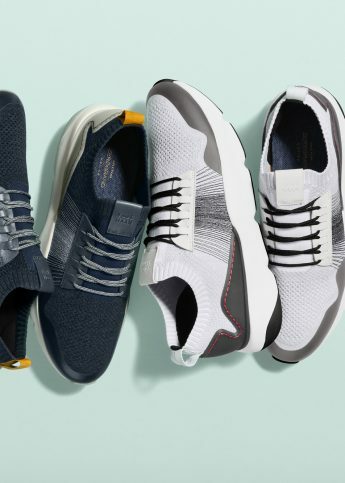 American lifestyle brand Cole Haan have launched an "all-day" trainer, ZEROGRAND. 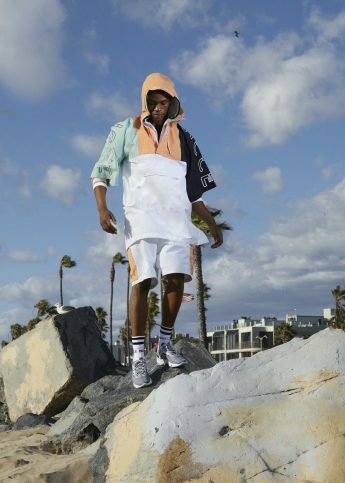 East London streetwear brand NICCE has launched its limited edition White Label capsule collection, inspired by art. This brand new teen TV show is here to freshen up the conversation around Gen Z fashion & beauty.